The debate around the Hyde Amendment has been squarely focused around abortion. Rightly so. The procedure is still a delicate topic, despite approximately 2 out of 5 women getting an abortion in their lifetimes. But the Hyde Amendment has another angle that no one is talking about. Do poor women actually have a constitutional right when they cannot afford access to that right? The Hyde Amendment turns 40 this Friday. So what’s the Hyde Amendment? In 1973, the Supreme Court of the United States (SCOTUS) decided that individuals have a right to privacy under the 14th Amendment. Roe v. Wade, along with several other cases, saw SCOTUS reasoning that a right to privacy extends to a woman’s right to an abortion. 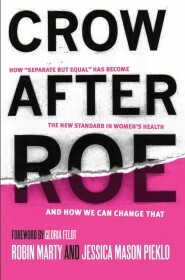 Women who lived through centuries of dangerous back-alley abortions, botched abortions, and dangerous abortifacient drugs saw Roe as a pivotal case for women’s rights.